Bee has been part of Ellis’s travelling show all her twelve years. Since her parents’ death, she and her unofficial guardian, Pauline, have been a team. Bee helps with the hot dog cart and looks for a home that will finally get the two of them off the road. Pauline keeps records of Bee’s life and fights to keep her — and her large, diamond-shaped birthmark — out of Ellis’s “Look See” exhibit. When Pauline gets involved with a newcomer, Ellis takes the opportunity to send her off to help start a satellite show that he hopes will boost flagging wartime profits. Feeling betrayed, and vulnerable to Ellis’s greed, Bee takes off, looking for a place to claim as home. What she finds is the cozy little house of her dreams, inhabited by two old women who welcome her and settle her into the bedroom they’ve prepared. Mrs. Potter offers comfort; Mrs. Swift insists that Bee make something of herself, beginning with school. And here’s where the story really gets going. At school, where she’s placed in the “special” class to avoid teasing, Bee discovers the responsibility of friendship, the satisfaction of being expected to thrive, and the possibility that standing up to a bully may require as much compassion as it does bravery. Though I wasn’t completely satisfied with the book as a whole, the complexity of the characters and the relationships between them is exceptional. Nearly every character with any significance in the novel has flaws and struggles of his or her own, and each is eventually shown to deserve at least a bit of sympathy. 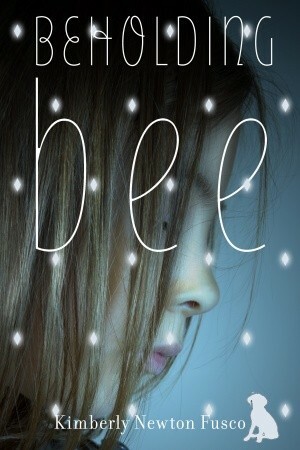 Beholding Bee would be a great choice for a group read, with lots of potential for discussion about friendship, bullying, home, and what it means to be a good teacher or parent. Read other reviews from Fourth Musketeer, Beth Fish Reads and Kirkus. The American Library Association’s Association for Library Services to Children recently included Beholding Bee in its list of nominees for Notable Children’s Books. Check out the rest of the list! Mum introduced me to Zenna Henderson as soon as I was old enough to be interested, and I gradually collected my own set in my late teens (Henderson published four books of short stories, all of which are rare thrift shop finds now). Ingathering is much easier to get, and combines two of the collections, plus a few extra stories that didn’t appear in the earlier books, so it’s a good place to start. Henderson’s stories, characters, and vocabulary are about as much a part of me as almost anything else I can think of. Discovering someone else who has read them (it’s happened twice, ever, and one of those was via Jo Walton’s Among Others) is rather like discovering an unknown relative — an unexpected someone in the world who shares important bits of my own history. Tom Bender is a typical Grade 7 kid. He’s shy, fascinated by sports cars (he’s dying for a ride in his best friend’s uncle’s Cobra!) and has a crush on a girl. He and his classmates are shaken up though, when Jessica joins their class. Jessica is no ordinary girl. Imagine what it might feel like to be trapped inside a burning car as it ignites, leaving you screaming for it to stop, for water and ice to stop your body from burning any more. 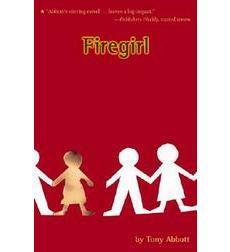 Imagine how terrible it would feel to lose your once-beautiful face, to be called “Firegirl” by your peers. Imagine holding out your hand to say your prayers with the whole class and have a classmate purposely avoid touching it. While all the other students reject Jessica, Tom is kind and brave enough to hold her hand. He gets to know her and listens to the story behind her scars, changing his outlook on life. Twelve year old Lucy has just moved into her new apartment in Paris with her parents. Though she doesn’t know anyone, her theme for the year is “global encounters”; she is determined to get to know her neighbours, and gets a great start getting to know the Marottes and their fashion accessory of a dog, François, until the day she meets Marie, her autistic son, Matthew, and his nanny, Maougo. Perhaps because it was originally written in French and then translated, there were some parts of the story that were hard to understand. However, it does help to explain much about the way that people with autism act and think. This charming and lyrically written story was a delight to read and is strongly recommended for readers with an interest in autism. 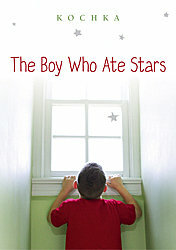 Find out more about this book from Kirkus or Publishers Weekly. To learn more about autism, take a look at the Parentbooks’ Autism Memoirs and Personal stories book list. Woodman creates a very satisfying Pi Patel, but I was especially impressed with his handling of conversations between Pi and the French and Japanese characters toward the end of the novel. Pulling off multiple accents at the same time wins this one big points. Another title particularly notable for its accents. Jenny Stirlin does a fantastic job of all of the Mary Russell books (which should suit many older teens very well — picture a young feminist, partnered with Sherlock Holmes in a detailed 1920s setting, solving mysteries all over the world). But how often do you come across such a convincing portrayal of a Moorish dialect? You can read about the story in the full review, but I will say that the most intense scene in the book is made by the audio presentation. Ginny’s already a bit off balance when she first encounters Smitty Tibbs. Her closest brother, Paul, has up and gone away to university, and the rest of the family has left its comfortable, stable life on the west coast and moved across the country. So when her new neighbour, Caulder, asks Ginny to help him figure out what’s wrong with Smitty — who hasn’t spoken or visibly responded to anyone since an accident when he was two — Ginny isn’t eager to get involved. Despite her reservations, she does quickly find herself as fascinated as Caulder with Smitty’s strange silence. But as the two work to draw Smitty out, the first signs of success suggest that breaking down his walls may have bigger consequences than they’d realised. 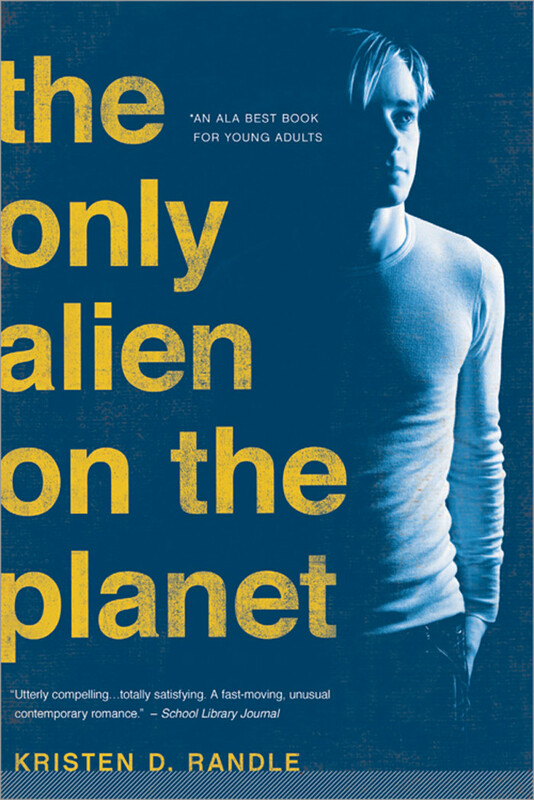 I loved this book as a teen, and I was thrilled to discover that it had been re-released a few years ago. Even better — the book is at least as good as I remember. Ginny’s parents and brothers are lovely, providing grounding in the midst of a complicated and difficult situation while still maintaining both flaws and lives of their own. The gradual development of Smitty’s story is handled skilfully, and Ginny’s ongoing struggle with her role in Smitty’s recovery is thought provoking, but so tightly focused on her unique circumstances that her conclusions never feel preachy. The language is also worth noting: more than once, I was caught by a passage so beautifully put that I stopped to copy it. Highly recommended for those who enjoy a ponderable book, and for those who read for language. This book has plenty to offer both. Marcelo Sandoval experiences things differently than most. Difficulty understanding body language and social conventions, and a deep commitment to his “special interest” — God and religion, generally speaking — make “Asperger’s” the easiest answer to people’s questions about his behaviour, though Marcelo notes that this is not quite accurate. Still, going to Patterson, a special school that helps students with all sorts of mental and physical challenges to learn strategies for managing those challenges, has been beneficial for him, teaching him to relate more easily with others and offering him opportunities to help other students. He is comfortable at Patterson. The summer before his last year of high school, his father gives him a choice: demonstrate that he can successfully follow the rules of the “real world,” working at his father’s law firm through the summer, and choose for himself where he will finish high school, or take his preferred job working with the therapy ponies at Patterson, and prove himself instead at public school in the fall. Marcelo chooses the former, and discovers both the satisfaction to be found in taking on challenges, and the disillusionment that is part of navigating the “real world” of adult responsibility and compromise. 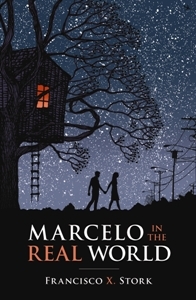 Marcelo is a lovely, thought-provoking story that encourages readers to contemplate the definition of “self,” the challenge of balancing competing loyalties, and the sacrifices involved in taking an adult place in the world. It does include some mature language and subject matter, and while neither is gratuitous, it is likely that older teens will be better prepared to take these in stride. This novel is likely to appeal to those who enjoyed the unique perspective found in The Curious Incident of the Dog in the Night-Time and to those who enjoyed the philosophical/religious musings of Life of Pi. Read the NYTimes review, or find out what Wrapped Up in Books thought.